Bob Seitz of Altoona submitted this photo of the Jewish Memorial Center’s East End basketball team, which won the JMC championship in 1972. Shown are (from left): Tony Sinisi, Bobby Seitz, Paul Forney, Dave Lutz and Rick Perreta; back row — Joe Bidoli (league director), Jim Folk, Sam Park, Gary Pheasant, Barry Harley and Bob Seitz (coach). Readers are encouraged to send or deliver old local photographs of general interest for use in Yesteryear. Information about people and places should be included. Photos must be 30 years old or older and should be sent to Yesteryear, Altoona Mirror, P.O. Box 2008, Altoona, PA 16603, or delivered to the Editorial Department. 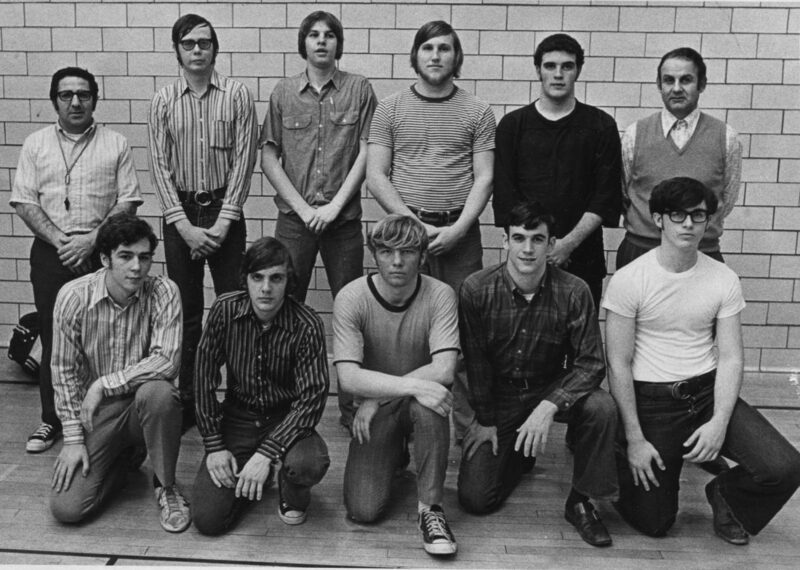 Bob Seitz of Altoona submitted this photo of the Jewish Memorial Center’s East End basketball team, which won the JMC championship in 1972. Shown are (from left): Tony Sinisi, Bobby Seitz, Paul Forney, Dave Lutz and Rick Perreta; back row — Joe Bidoli (league director), Jim Folk, Sam Park, Gary Pheasant, Barry Harley and Bob Seitz (coach).